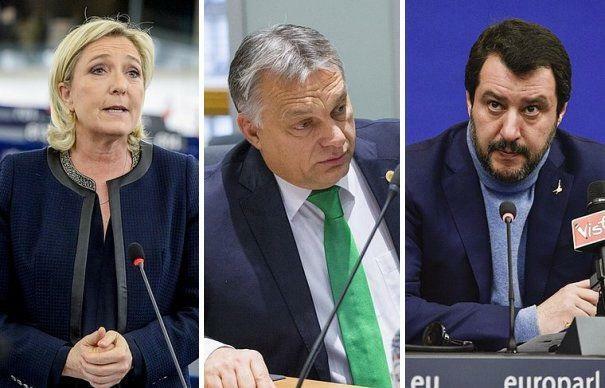 According to the latest polls, the populist wave of anti-mass migration nationalist parties across the European Union is picking up steam, particularly in Italy, France and Hungary as pro-nationalism parties lead their rivals going into next year's EU parliament election. As we reported last week, a recent poll from Nov. 4 from the Institut Français D’opinion Publique (IFOP) showed that French President Emmanuel Macron's centrist party Republic on the Move (LREM) has fallen to 19%, while Marine Le Pen's right-wing Rassemblement National (RN, formerly National Front) jumped to 21%, according to Euractiv. Another poll from Elabe shows RN at 20% while Macron's LREM at 19.5%. Meanwhile, a Hungarian national poll released last week from Medián reveals that Prime Minister Victor Orbán's Fidesz party and their Christian Democratic People's Party allies have increased their lead to 63% - with the second most popular party, Jobbik, coming in at just 11%. While American political strategist Stephen K Bannon has made strides uniting European populists through his nonprofit organization The Movement, Salvini and Le Pen met last month in Rome and announced that they were exploring a "Freedom Front" of their own to unite the populists among the EU parliament.